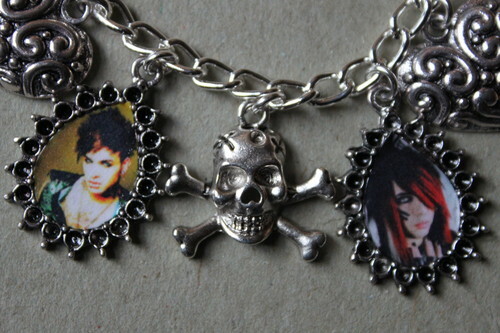 BOTDF Dahvie Vanity Jayy Von Monroe charm bracelet . My hand-made jewelry, including this BOTDF charm bracelet, is available at www.bonanza.com/booths/anitasthings. HD Wallpaper and background images in the Blood on The Dance Floor club tagged: botdf jayy dahvie jayy von monroe dahvie vanity vanity. This Blood on The Dance Floor fan art might contain necklace. BO†DF // Δ WALLPAPER ! SL@SH G@SH // BO†DF // Δ WALLPAPER ! BO†DF // Δ DAHV!E VAN!TY WALLPAPER ! BO†DF // Δ JAYY VON WALLPAPER !